Did you know about this? I certainly didn’t know about this. I went over to Sara’s yesterday for sewing fun, and we stopped by this Indian grocery near her house to get samosas (which were ridiculously good- I ate three). 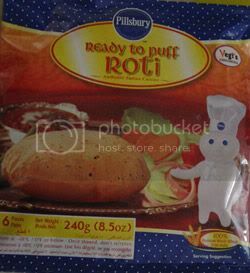 Anyway, I found all these Pillsbury products in the freezer cases. 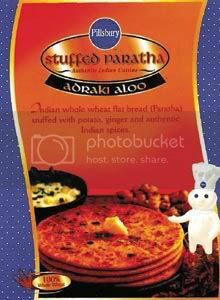 I bought one Pillsbury product (Indian bread stuffed with peas and paneer) and two Deep products (malai kofta and a spiced layered bread). Very intriguing stuff. I was going to eat one of them for dinner last night, but then I didn’t (good story). I’ll probably eat one tonight unless I go out with the MV crew. 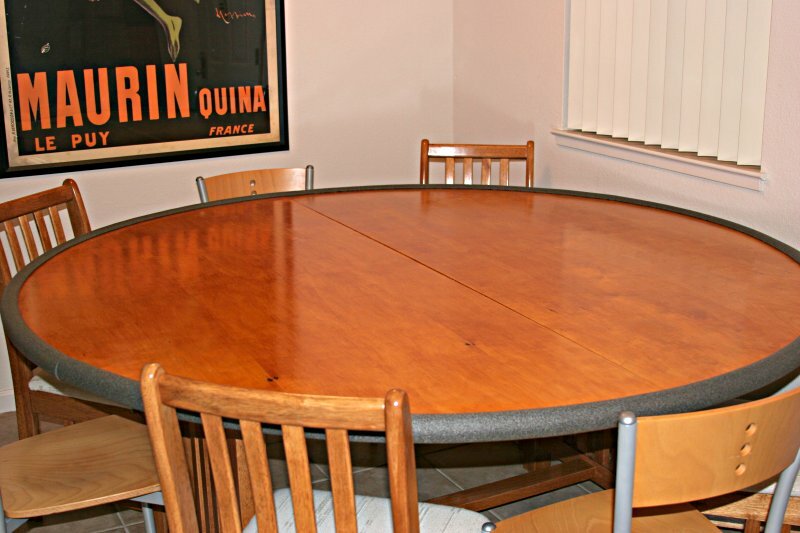 Oh, speaking of my Mountain View peeps, R☆ and Jer finished the table yesterday. Now we can be slightly less paranoid about spilling stuff on it. Pictures! Unfinished and finished. It is very big and awesome. We have lots of space for mapping. 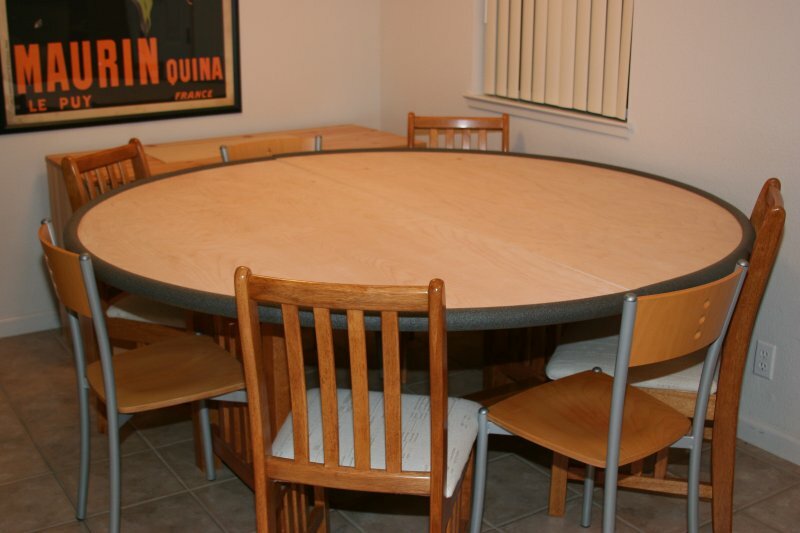 No, it’s nothing like the over-the-top gaming table I linked to before (nor do we have anything as high-tech crazy as this one), but it makes gaming much more comfortable now that we’re not crammed around a rectangular table.